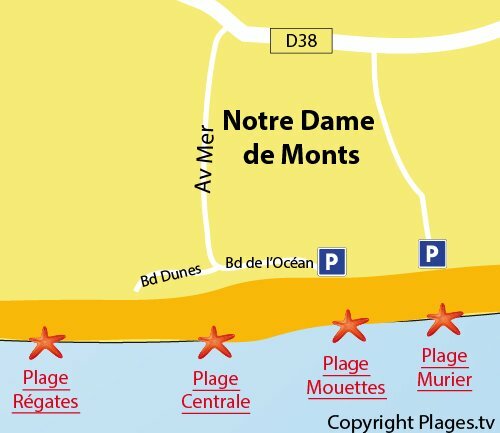 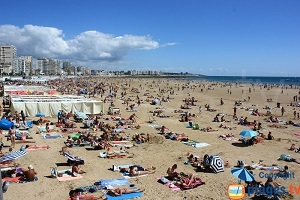 Notre Dame de Monts’ Central Beach is the beach in the centre of the resort. 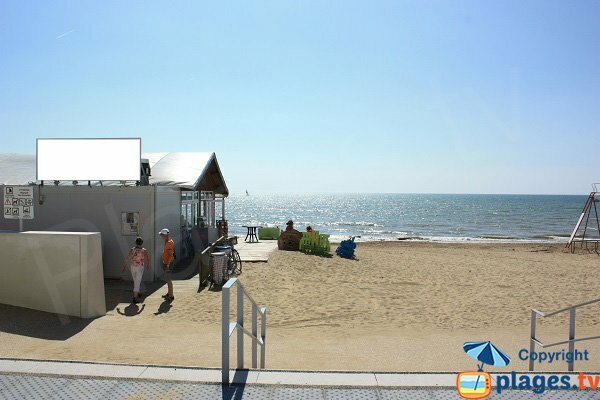 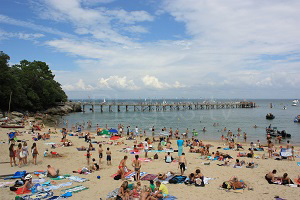 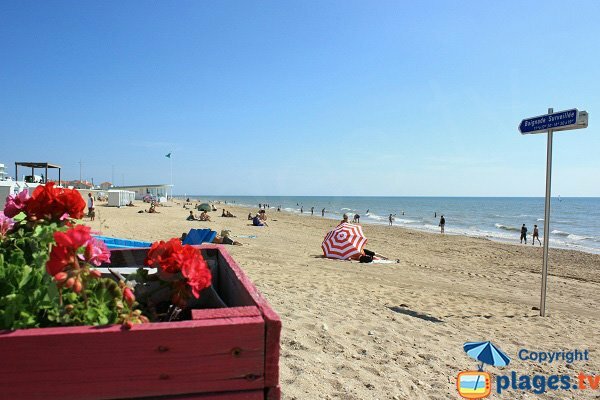 Complete with entertainment for children, bathing huts, beach huts, it attracts many visitors in the summer season. 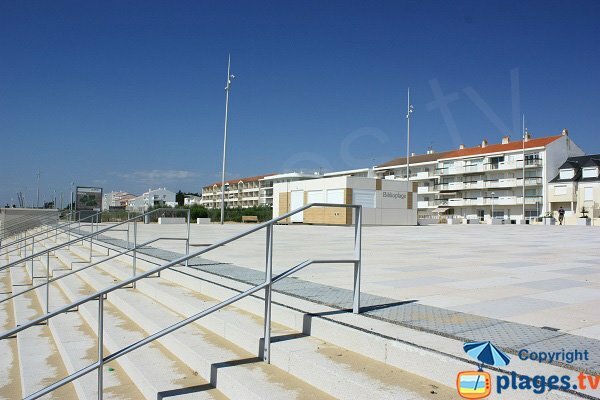 It is supervised and is equipped for people with reduced mobility. 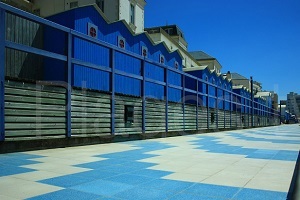 Bordered by a pleasant pedestrian promenade and away from the road, safe for children. 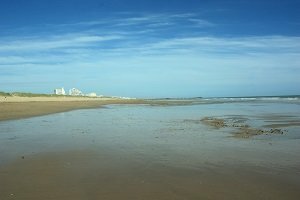 Please note that dogs are not allowed on the beach from 15 June to 15 September. 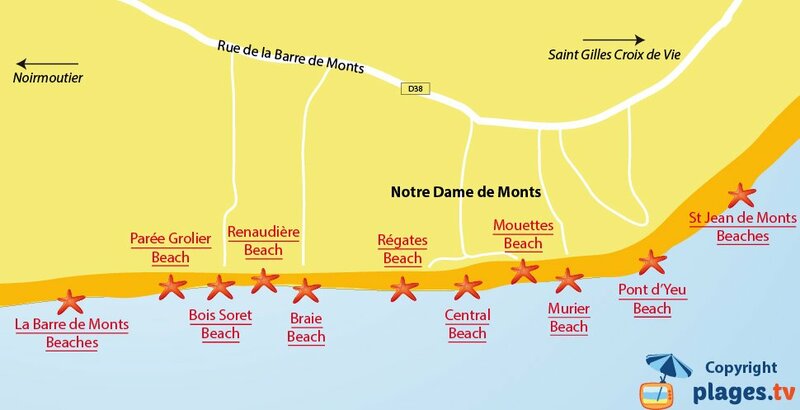 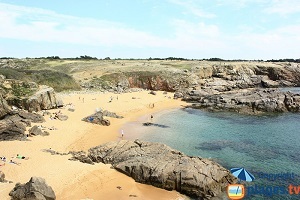 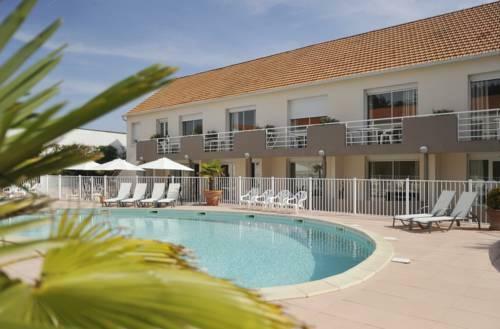 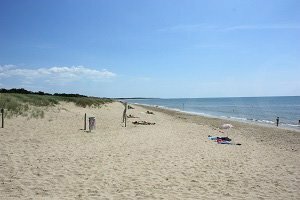 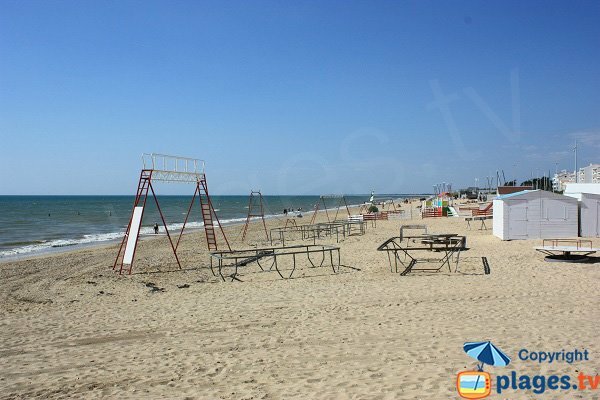 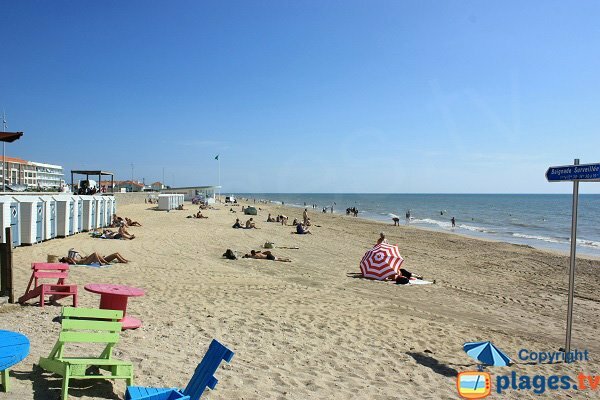 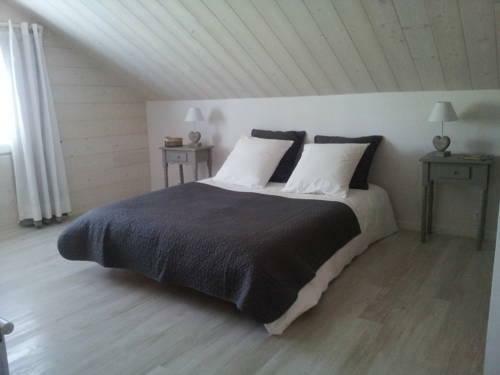 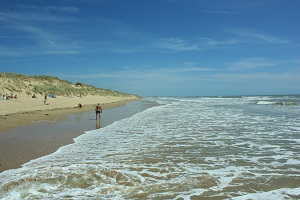 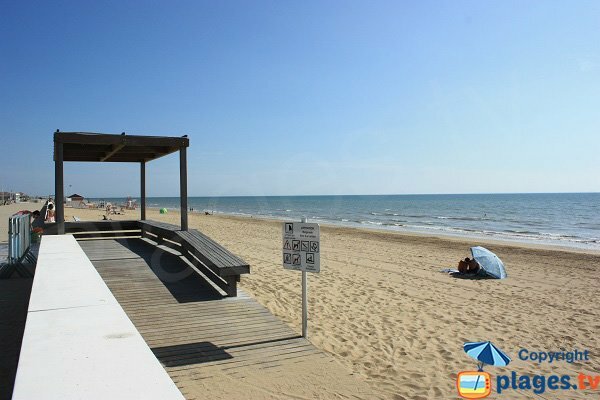 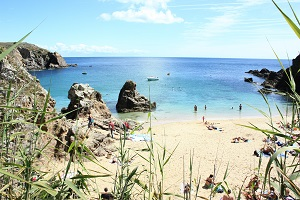 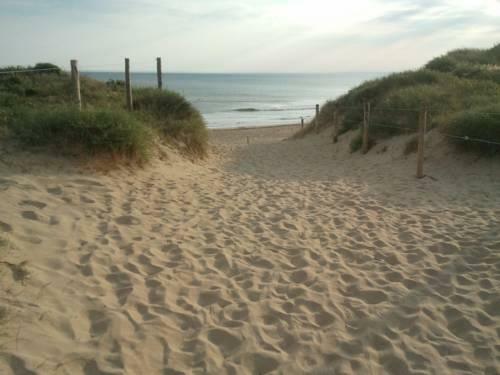 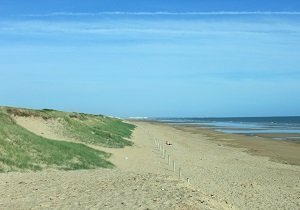 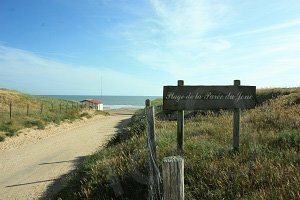 This beach in the centre of Notre Dame de Monts offers all the facilities. 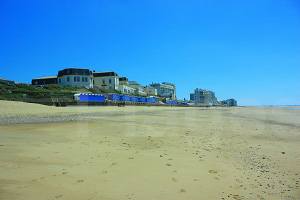 There are bathing huts, an lifeguard station, a kid’s club with games and a long stretch of sand. 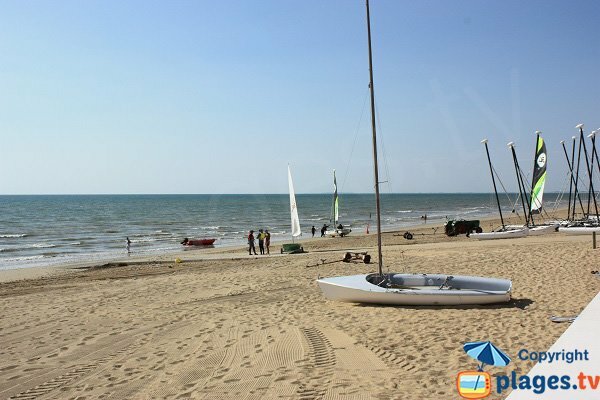 Towards the nautical centre, there is a beach club for children with many games on the sand.